Sun., 19 May - Thu., 13 Jun. Wed., 22 May - Thu., 13 Jun. Sun., 15 Sep. - Sun., 13 Oct. Sun., 2 Jun. - Sun., 16 Jun. Wed., 14 Aug. - Mon., 16 Sep. Sun., 2 Jun. - Thu., 27 Jun. Sun., 6 Oct. - Sun., 20 Oct. Sun., 19 May - Thu., 6 Jun. Thu., 13 Jun. - Thu., 27 Jun. Sun., 12 May - Mon., 24 Jun. Fri., 11 Oct. - Sat., 26 Oct. Sun., 9 Jun. - Sun., 23 Jun. Sun., 16 Jun. - Thu., 29 Aug.
Wed., 28 Aug. - Thu., 12 Sep. Sat., 8 Jun. - Sat., 22 Jun. Sun., 19 May - Fri., 7 Jun. Wed., 5 Jun. - Wed., 19 Jun. Wed., 25 Sep. - Wed., 30 Oct.
Wed., 11 Sep. - Wed., 2 Oct. Tue., 28 May - Tue., 18 Jun. Wed., 11 Sep. - Thu., 17 Oct. 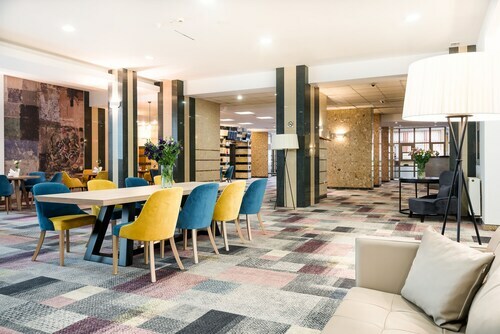 Located in Wlochy, this hotel is within 6 mi (10 km) of Central Clinical Hospital of the Ministry of the Interior, Palace of Culture and Science, and Warsaw Uprising Museum. Warsaw University of Technology and Blue City are also within 6 mi (10 km). 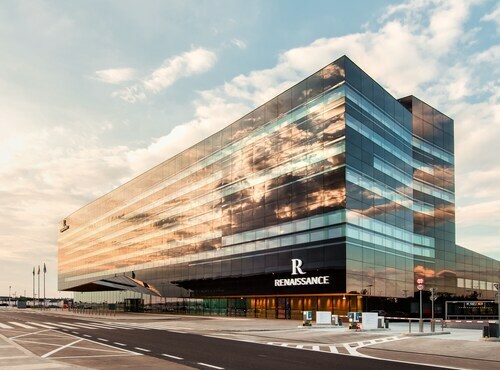 Located in Wlochy, this luxury hotel is within 9 mi (15 km) of Warsaw Uprising Museum, Palace of Culture and Science, and University of Warsaw. Royal Castle and Wilanow Palace are also within 9 mi (15 km). 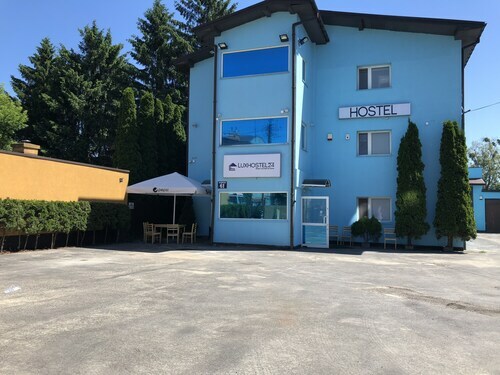 Located in Wlochy, this hotel is 2.3 mi (3.7 km) from Central Clinical Hospital of the Ministry of the Interior and within 6 mi (10 km) of Palace of Culture and Science and Warsaw Uprising Museum. Warsaw University of Technology and Blue City are also within 6 mi (10 km). 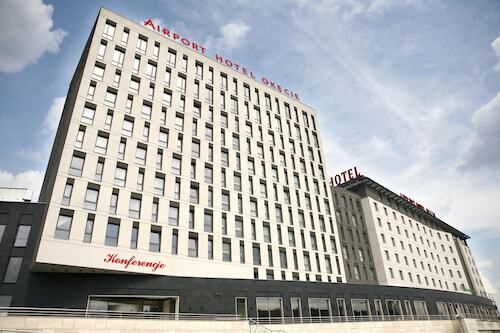 This Warsaw hotel is located less than 1 km from Frederic Chopin Airport and 3 km from Galeria Mokotów. The Warsaw Uprising Museum, Warsaw Central Station, and the city center are 7 km away. The historic Old Town is just 10 km away. 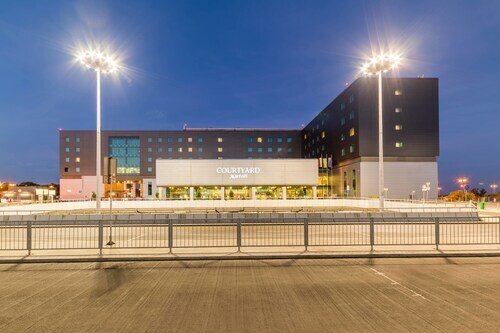 Located in Wlochy, this hotel is 2.9 mi (4.6 km) from Blue City and within 6 mi (10 km) of Palace of Culture and Science and Warsaw University of Technology. U.S. Embassy and University of Warsaw are also within 6 mi (10 km). 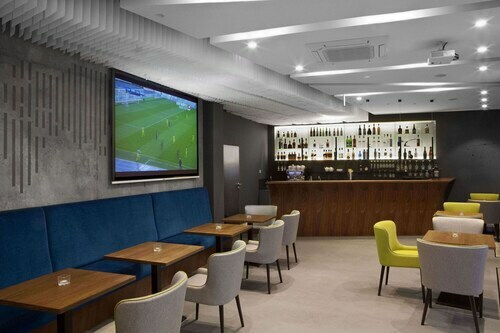 Located in Wlochy, this hotel is 2.7 mi (4.3 km) from Blue City and within 6 mi (10 km) of Palace of Culture and Science and Warsaw University of Technology. U.S. Embassy and University of Warsaw are also within 6 mi (10 km). Located in Wlochy, this hostel is 2.4 mi (3.9 km) from Blue City and 2.5 mi (4.1 km) from Central Clinical Hospital of the Ministry of the Interior. Palace of Culture and Science and Warsaw Uprising Museum are also within 6 mi (10 km). Question : What is the cheapest airline flying from Vancouver to Warsaw? Answer : Ticket costs are hitting as high as $5,901 over the next three months when flying to WAW from YVR. Check out Delta Air Lines, as they have bookings at just $1,189. Question : How much time do people spend in Warsaw? Answer : The average time spent in Warsaw by travellers from Vancouver is 19 days. However long you decide to stay, give yourself plenty of time to see what makes Warsaw fantastic. Answer : The cheapest day to fly from Vancouver to Warsaw is on Monday. So, if you want to save a bit of cash on your next getaway look for flights on that day. Question : What is the cheapest date to fly to Warsaw? Answer : As of Apr 22nd, the best day for deals to Warsaw (WAW) is May 5th. A ticket for this flight will run you around $1,189, which is 39% below this route's average price. Question : How much is a plane ticket to Warsaw (WAW) from Vancouver (YVR)? Answer : They vary anywhere from $1,189 to $5,901. Booking in advance can normally help you get the cheapest ticket. However, usually the sooner you book, the better the price. Question : What airports do you fly into for Warsaw? Answer : Vancouver International Airport is a wonderful airport, but there are lower cost ways to get to Warsaw— Victoria International Airport. It's 40 miles away from YVR and flights are booked 59% cheaper over the next two months.